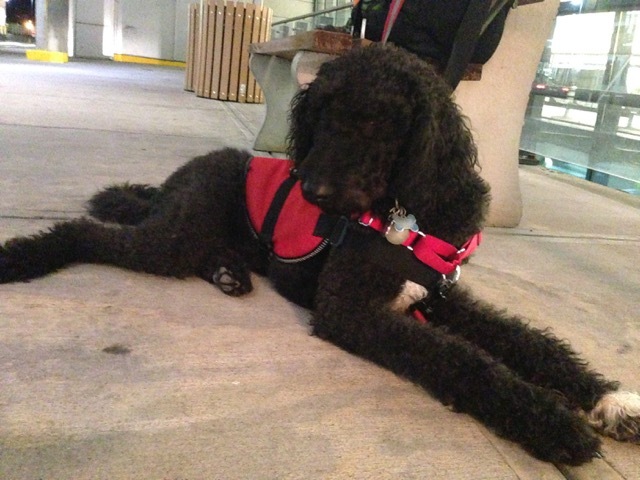 We are dedicated to providing psychiatric, medical alert and non-load-bearing mobility assistance dogs to those in need. Most of our dogs are Labrador Retrievers and Golden Retrievers (as well as some Labradoodles and Goldendoodles) and are usually between eighteen months to two years old when placed. Each dog is carefully matched to the candidate and their training is tailored specifically to meet the needs of the applicant they will go to. See below for more details. 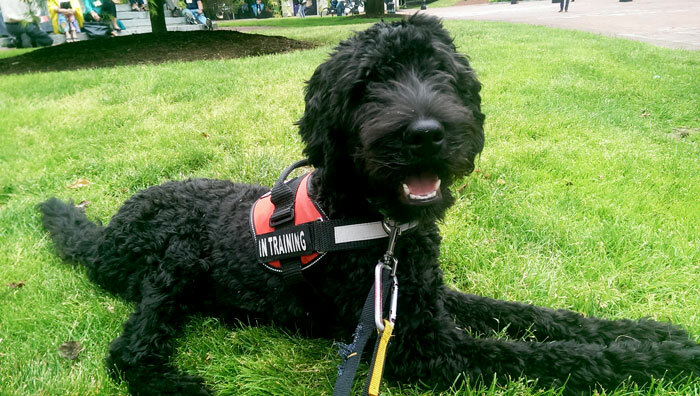 We are dedicated to providing psychiatric, medical alert and mobility assistance dogs to those in need. Most of our dogs are Labrador Retrievers and Golden Retrievers (along with some Labradoodles and Goldendoodles) and are between one and two years old when placed. Each dog is carefully matched to the candidate and their training is tailored specifically to meet the needs of the applicant they will go to. Please explore this process in great detail, from beginning to end, below! Application and fee are received by us and we contact you within 2 business days to set up a phone interview. Phone interview during which the whole program is explained in great detail from start to finish and we answer all the questions you may have. Afterwards we send you an information packet as well as a medical history form. Applicant gets medical history forms to providers (therapist, psychiatrist etc..) and they fill it out and send it back to us. Applicant also secures a letter of support from someone in their life and sends this to us. We receive and review the medical history form and then contact your provider(s) to set up a medical consult. We then do a medical consult with your provider. After we consult with your providers we get back to you with a final decision regarding acceptance into our program within two working days. If the client is accepted and wants to join our program they are considered enrolled once they make a $2,500 deposit. Once a client enrolls they can expect to wait around 18-24 months for their dog. * For non-fundraising clients who do not wish to pay a lump sum we have a standard payment plan of $2,500 every 3 months for 1 year, though we are open to custom payment plans. We collaborate with clients to identify all of their symptoms and what services they would benefit from the dog performing. We strongly encourage clients to work on this spreadsheet with their therapist, doctors or loved ones, as appropriate. When the client and our team agrees on a final version we will “close out” the client’s training profile, which means that no more behaviors can be added. 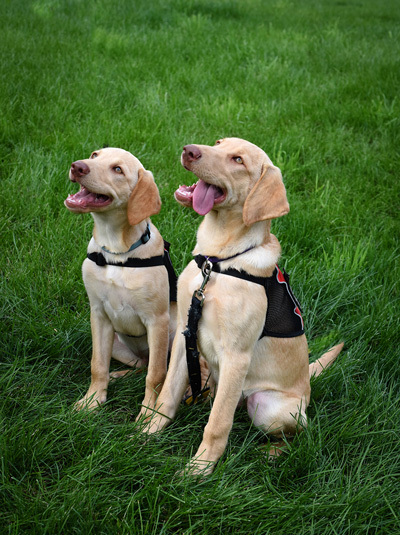 As we get closer to a client’s placement date, once we are absolutely sure which dog is the best match, we notify the client which dog they will be receiving and send them a brief description of their dog and some photos of their service dog. Once a dog has been assigned to a client, we begin scheduling their week-long intensive training. Clients are required to come to a week-long intensive training course to learn how to work with their dog. Intensives always run from a Thursday to a Wednesday. Clients are responsible for their needs during the intensive including transportation, housing and meals. For more information please see the section titled intensive training curriculum. After clients go home with their dog they are required to follow a post-placement plan. For the first six months after placement, clients are required to have regular check-ins without team and practice sessions with their dog. We find that some clients have no issues post placement from the day they leave, while others may have lots of questions for the first few months. 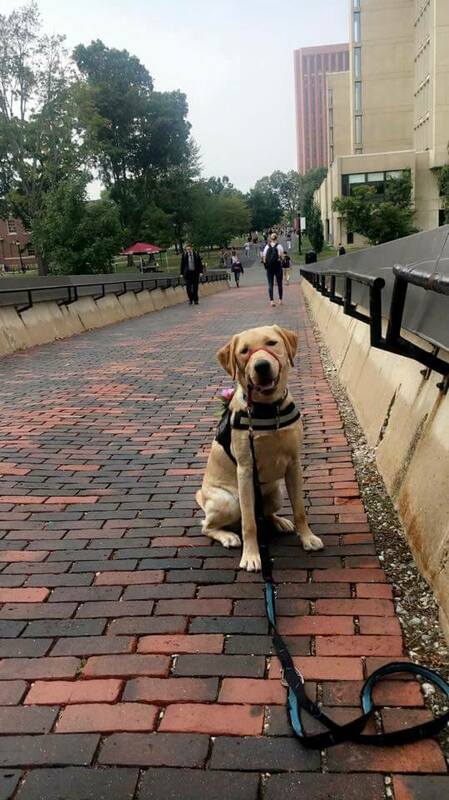 The post-placement process is designed to offer clients support while they acclimate to living and working with their new service dog. We find that even those clients that take a while to settle into their new partnership, are working smoothly and fully bonded with their dogs after 2-3 months, however, we like to continue regular check-ins for six months just so that clients always feel like they have a support system in place. After six months we move to checking in with each client with a simple phone call every 3 months for the next 2 years. This is our way of ensuring that everything is going well and to hear how amazing the dog is doing with their new partner! As you have likely noticed, we have a section on our website called “applicant campaigns” where we host fundraising websites for our clients. It works to similarly other online fundraising platforms (such as GoFundMe) except that we don’t take a portion for ourselves. This is a wonderful system for clients to raise funds, but we do like to remind clients that it does require the client sharing the link to their site and actively pushing the ball forward. We try to get our dogs to our clients as quickly as possible, but, obviously, we cannot have a dog who is ready to graduate but their client isn’t ready/able to make payment. 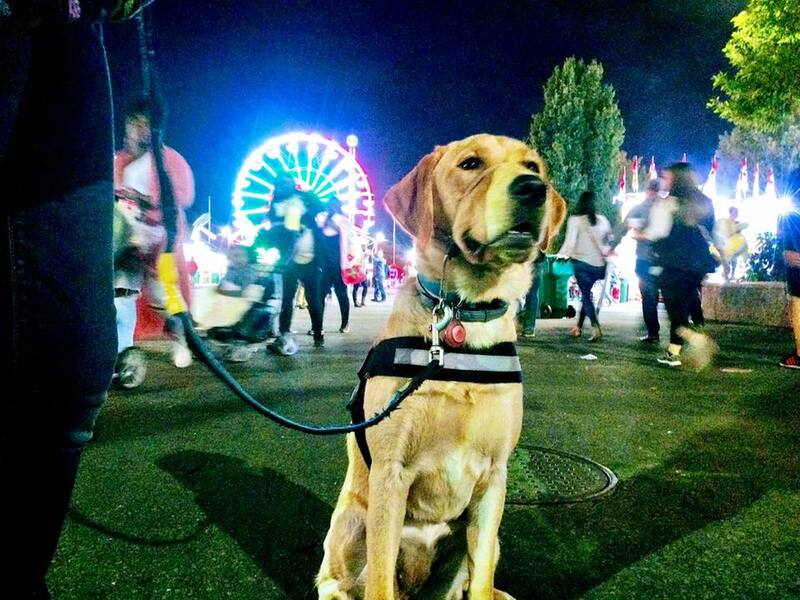 Additionally, we cannot have clients whose fundraising has been stagnant for a year or two suddenly come to us with the full amount and assuming that their dog will be ready immediately, as it takes a tremendous amount of time and effort to prepare a dog for a client and we cannot do this overnight. So, in order to accurately match our training timeline with your fundraising timeline, we have developed this protocol for all fundraising clients. We understand that the nature of fundraising is uncertain and that sometimes there are periods of great progress while other times the progress slows down. Therefore, for fundraising client, we will not assign a dog to their specific training profile until we have received around 70% of their campaign total. We will not set a placement/intensive date until we have received 90% of the total amount due. Full payment is required at least one month prior to placement. 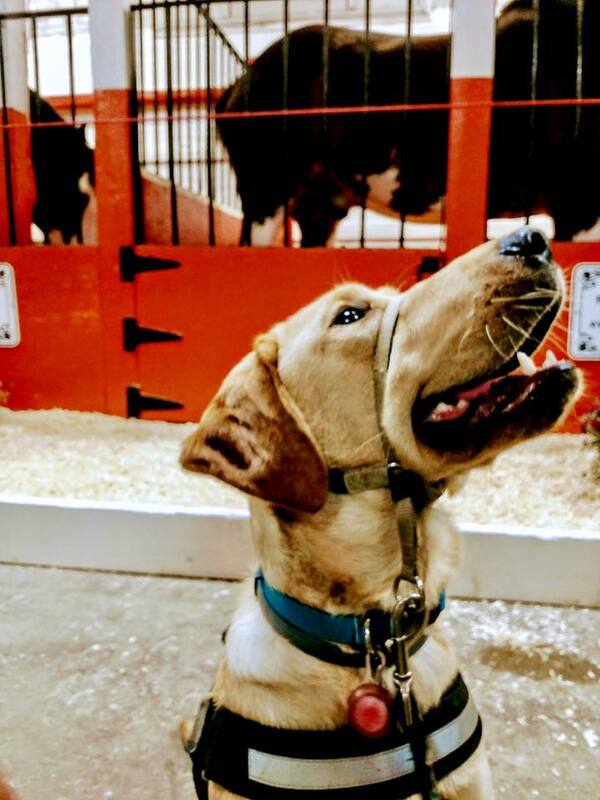 As we discuss in the interview, all of our dogs learn a core curriculum of 100 or more behaviors before we assign them a specific training profile, which usually happens when they are 10-12 months old. So, it is not as if you are assigned a puppy when you get assigned a dog. Clients are assigned dogs that have already learned the majority of the curriculum, including an array of service tasks. They just have not learned the tasks that are unique to an individual client and the pairing of service tasks with the symptoms outlined in each client’s symptoms and services worksheet/training profile. We trust that you find this policy fair and reasonable. If you need longer than the 18-24 months to raise funds, that is not a problem. This policy will enable us to cater to individual needs while still being able to plan our training and assignments appropriately. For more information about the course curriculum and process, email jazz@indogswetrust.org or call 914-222-DOGS. IMPORTANT NOTE: All payments are final and non-refundable. Clients must apply, be interviewed, and accepted to the program, before paying. All donations using our fundraising platform on our website are also all non-refundable. The first part of the process is to download and submit an application (available here). Applications can be submitted electronically or printed and mailed in. Once we receive it, we will contact you within two working days in order to schedule a telephone interview. Thank you for your interest in our program. We look forward to working together! All applicants must travel to Shelburne Falls, MA (in Western Massachusetts) for the week long intensive portion of this course. For non-local participants, add-on services are available, including discounted accommodation, airport pick-up/drop-off services, daily transport service and meal plans.